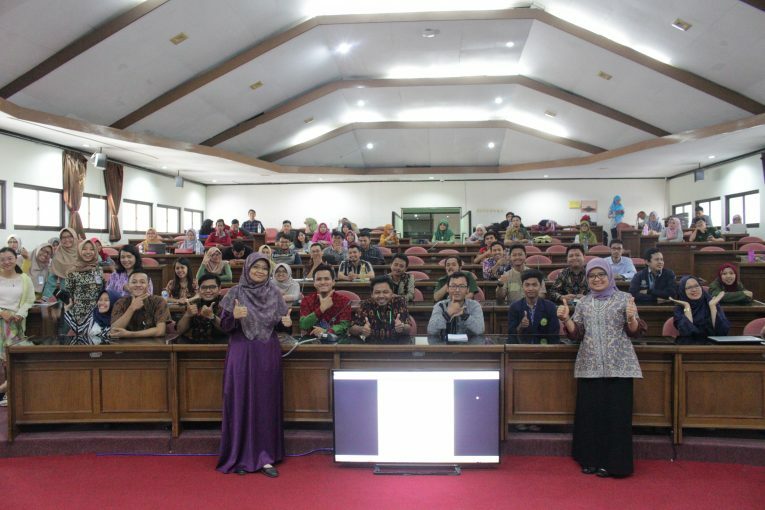 Yogyakarta-Friday, November 23th 2018, Student Communication Forum for the Master of Science (FORKOMSI FEB-UGM) held a seminar with the theme: Use of Bibliometric in Research Analysis. The seminar was delivered by Nurul Indarti, Sivilokonom., Cand. Merc., Ph.D and Ira Setyaningsih, S.T., M.Sc. Bibliometric is a set of method mathematics and statistics used to analyze and organize publications. Nurul Indarti, Sivilokonom., Cand. Merc., PhD said that bibliometric is very closely related in conducting literature studies. Ira Setyaningsih, S.T., M.Sc. with Nurul Indarti, Sivilekonom, Cand. Merc., Ph.D and Ferry Jie themselves have completed an article published in the International Journal Management Concepts, and Philosophy entitled Bibliometric Analysis of the Term ‘Green Manufacturing’ There are five steps that must be followed when doing bibliometric analysis, which is defining keywords , determine the initial search results, perfect search results, compile statistical data, and analyze data.